Davido assurance lyrics show you why Davido songs are one of African best. 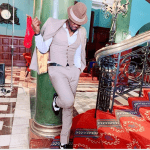 He expresses the love he feels for girlfriend Chioma Avril Rowland. Hello, guys, it is your Gee Mr. Classic Money here at Shout Me Celeb. today I will be telling you everything about assurance by davido. So, you want to stay glued to your screen! 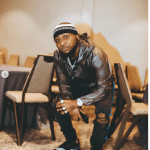 Davido assurance lyrics hit the screen and like every of his badass songs. He totally killed this one. I will tell you why. It is because it’s about his new found love Chioma Avril Rowland. The name sounds very epic, right? Plus her beauty is something else. and honestly, I can’t even begin to imagine if she was born in this world. Now, that’s a joke! She is totally of this world… LoLz. However hot his songs sound there are many out there. Who wants to spoil his reputation. One of such cases was when he was accused of stealing perfume from a UK chop. It turns out he was able to clear his name from that one. and today he is waxing strong showing the world he is the real deal. The song was produced and directed by SperoachBeatz. 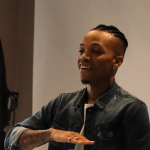 The producer of one of the biggest songs in 2018 according to pulse ng speaks on how he created the beat. Davidos Assurance became an instant hit. when it was released in April and the producer, SperoachBeatz says it took him an hour to put the instrumental together. Assurance davido garnered more than 30 million views on youtube and the number. is still rising and also it got a lot of positive reviews from the fans of the singer. 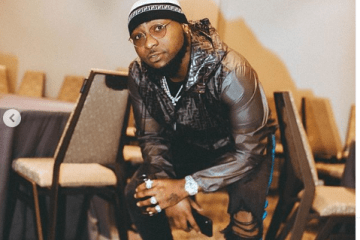 What Inspired Davido Assurance Lyrics? The lyrics like I said before was inspired by a woman. Women are just amazing aren’t they! The song displays how affectionate it is to fall head over hills in love with a woman. and in this case, it is Davido that was love struck by an Angel. The above angel came in the form of Chioma. and it has been rosy for the two love birds ever since. But, sometimes in 2018, it was a rumor that Nigeria Bon and Clyde were no more together. but as the story turns out, it was an absolute rumor. Shoutmeceleb covered that story in depth here. and you are free to share your thoughts also. 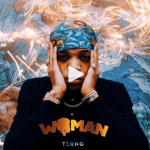 Davido latest songs is that is currently trending is the Wonder Woman. I know what you are going to say. Why are his songs about women? Well, his mom passing away is over a decade now. and what other better way is there to honor women than doing songs that are magical. Well, let me ask you this question! What is the first thing that comes to your mind when you hear Chioma and Davido? Again use the comment session to answer this question. and I will love to speak more on it with you. You love music right? Listen to Davido assurance lyrics and you will also want to fall in love. Although many have labeled him rude one guy defended him so well. It is the person of Richard Nnadi who claims lot’s of Celebs owe him money. 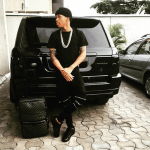 Davido did well to clear his name from Richard’s debt list. and Richard thanked him well too. So, without further Ado here is!